Infielder Nick Senzel #13 of the Tennessee Volunteers. If you got out to see a Cape Cod Baseball League game this summer and happened to catch the Brewster Whitecaps, make a mental note of the game. Chances are that the third baseman, Nick Senzel (pictured), did something pretty special, and you might be seeing a lot more of him soon in the big leagues. 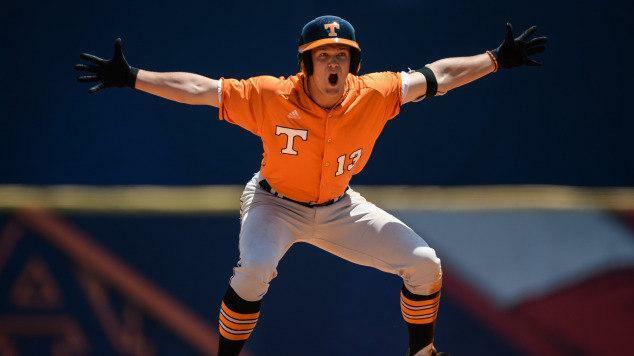 Senzel, now a junior at University of Tennessee, won the Cape League’s Most Valuable Player award and Outstanding Pro Prospect award. His numbers tell the story: He led the league with 56 hits, 16 doubles, 34 runs scored, and 33 runs batted in. He added four home runs and batted .364, good for second in the batting average race among the 10 teams. When the season ended, Senzel shared his gratitude on Twitter: “Thank you to @WhitecapsCCBL for an unforgettable experience. Thank you to my teammates and coaches for the endless support #GoCaps”.